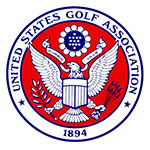 VARIOUS SITES IN THE US (July/August 2018) - Qualifying for the U.S. Senior Amateur is complete at 50 qualifying sites across the United States. The USGA accepted 2,381 entries for the 64th U.S. Senior Amateur Championship, scheduled for August 25-30, 2018 at Eugene (ore.) Country Club. Players exempt from qualifying include the defending champion Sean Knapp, who won last year's championship at The Minikahda Club in Minneapolis, MN. Reigning (and four-time) Carlton Woods Senior champion Mike Booker (Houston, TX) traveled out to Newport Beach, CA and shot 71 to earn medalist honors at Big Canyon Country Club. Four players shot 72 to take the other qualifying spots and punched their tickets to Eugene CC. 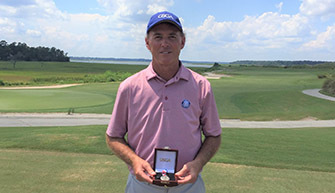 Claud Cooper (Birmingham, AL), who last year made the final 32 in the Senior Amateur and also qualified for the U.S. Senior Open, shot a 69 at Willow Point G&CC in Alexander City, AL to share medalist honors. Greg Condon (Monte Vista, CO), a Senior Am match play qualifier last year and a U.S. Senior Open participant in 2016, won the Sandia Park, NM qualifier by 6 shots, shooting a 69 at Paa-Ko Ridge GC. 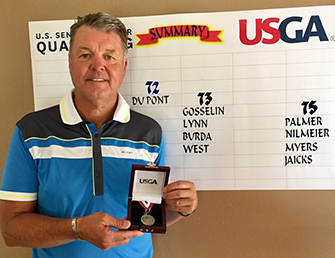 Former PGA Tour player and reinstated amateur Brian Tennyson (Fernandina Beach, FL) shot 69 at The Amelia Island Club in Amelia Island, FL to share medalist honors with 2016 U.S. Senior Open participant John Lobb (Magnolia, KY). Two players who made the final 32 in last year's championship advanced out of the Wickenburg, AZ qualifying site. Mark Coward (Paradise Valley, AZ) shot a 70 at Wickenburg Ranch G&CC to share medalist honors, while Chris Hartenstein (Austin, TX) shot 71 to advance. Ned Zachar (Bedford, NY), who made the final 32 in last year's championship and qualified for the U.S. Senior Open earlier this summer, shot a 72 to share medalist honors at Fairview Farm GC in Harwinton, CT. Dennis Lynch (Smithtown, NY) won a four-way playoff for the final qualifying spot, a playoff that included former 8-time major tennis champion Ivan Lendl. 2015 Golfweek Senior Amateur champion Jerry Rose was the co-medalist at Mendakota CC in Mendota Heights, MN, shooting a 73. Kevin Culligan won a five-way playoff for the final qualifying spot after a round of 74. Russ Perry (Winston-Salem, NC), who made the final 16 in last year's championship, was the medalist at High Point (N.C.) Country Club with a round of 69. John Rudolph (Charlotte, NC) shot a 70, while 2015 Dave King Senior champion Gary Robinson (Fayetteville, NC) advanced with a 71. Lowcountry Senior champion and last year's Jones Cup Senior champion Walter Todd (Laurens, SC) also qualified with a 71. The Elkridge Club in Baltimore, MD received 15 inches of rain in the week before the qualifier, washing out the bunkers twice and forcing the maintenance crew to work overtime to get the course playable. Tom Winegardner (Lothian, MD) birdied the final two holes for a 1-under 70 to medal by one shot. Lee Flemister (Rockville, MD) and Buddy Patch (Fairfax Station, VA) made it through a 3-for-2 playoff, going par-par over two extra holes to advance. Seven-time Cincinnati Metropolitan Amateur champion James Volpenhein (Union, KY) took the only spot available at Persimmon Ridge GC in Louisville, KY, recording a 1-over 73 and clearing the field by three shots. Volpenhein's back nine was remarkable; he started it with four straight bogeys, parred the 14th, and birdies the last four holes. Mark Du Pont shot an even-par 72 at Turlock Golf & Country Club in Turlock, CA to medal by one shot over four players, who had to go to a playoff to determine the other two qualifying spots. Bryan Lynn and Jeff Burda (a former Golfweek Senior, Trans-Mississippi Senior, and Senior Masters champion) emerged from the playoff to advance to the championship. 54-year-old David Blichar (Allentown, PA) is eligible for the U.S. Senior because he turns 55 before the start of the championship. At Tavistock Country Club in Haddonfield, NJ, Blichar shot a 1-under 71 to earn medalist honors. Edward Armagost (Jupiter, FL), a caddy at Pine Valley and Seminole, shot 72 to advance to the championship. Also advancing was Jimmy Dunne (New York, NY), whose story was featured during U.S. Open week on the Golf Channel. Qualifiers: David Blichar (Allentown, PA) 71, Edward Armagost (Jupiter, FL) 72, James Dunne (New York, NY) 73, David West (Exton, PA) 73. Joe Palmer (W. Des Moines, IA), who recently won his third Iowa Senior Match Play, took the only spot available at Sunnyside CC in Waterloo, IA. Palmer shot a 1-under 71 an then won a playoff with a par on the first hole. Jim McNelis (Gig Harbor, WA) shot a 1-under 71 at Tacoma (Wash.) Country & Golf Club to medal by two shots, but the battle was for the fourth and final spot. 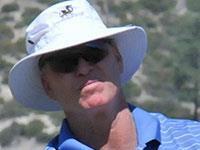 Five golfers played off for the spot, with Jerry Close (Moses Lake, WA) ultimately prevailing. Five spots were available at the host site of the 64th U.S. Senior Championship, Eugene Country Club in Eugene, OR. Five-time Oregon Senior champion and 2013 U.S. Senior runner-up, Pat O'Donnell, shot a 71 to share medalist honors. Scott Hval, himself a three-time Oregon Senior champ, also qualified with a 73. Johnny Coppedge improbably won a seven-man playoff for the final spot after the seven players all shot 75. Qualifiers: Pat O'Donnell (Happy Valley, OR) 71, Larry Watts (Springfield, OR) 71, Bradley Karns (Vancouver, WA) 73, Scott Hval (Portland, OR) 73, Johnny Coppedge (Canby, OR) 75. Three-time (2012, 2013, 2018) U.S. Senior Open participant James Camaione shot a 2-under 70 at South Hills Country Club in West Covina, CA to share medalist honors. Craig Davis, winner of the last two Southern California Senior championships, won a 3-way playoff for the final qualifying spot. At Manchester Country Club in Manchester, VT, four players shot 73 and had to play off for the two available spots. 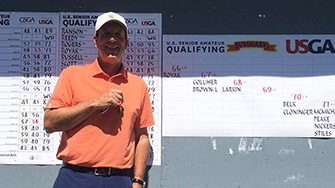 1989 U.S. Mid-Amateur runner-up and Connecticut Golf Hall of Famer William Hadden and John Lombardozzi got through the playoff and are off to Eugene for the championship. Dennis Smith (Lafayette, LA) blitzed the field at Le Triomphe Golf & Country Club in Broussard, LA, shooting a 6-under 66 to cleat the field by six shots. Smith made five birdies and an eagle on the day. The Chicago District Golf Association interrupted their Senior Championship to allow players to participate in the U.S. Senior Amateur qualifier at Olympia Fields (Ill.) Country Club. Bill Barnes (Bonita Springs, FL) and Thomas Destefani (Western Springs, IL) led a group of five successful qualifiers, each shooting even-par 72 on the South Course at OFCC. There was a 4-for-3 playoff to determine the final three spots after four players shot 73. Former United States Air Force fighter pilot John Turk, the 2016 Southern Nevada Golf Association senior player of the year, shot a 73 at Reflection Bay GC in Las Vegas to take the only qualifying spot by one shot. Former Texas resident Jeff New (Scottsdale, AZ) shot a 1-under 70 at Squaw Creek GC in Willow Park, TX to medal by one shot over Texas Golf Hall of Famer John Grace (Fort Worth, TX). The final two qualifiers were decided by a 7-for-2 playoff after seven players shot 73. At The Pines Country Club in Morgantown, WV, former West Virginia Senior Amateur champion Jeff Harper (Coolville, WV) shot a 2-under 69 to take the only qualifying spot. At Oberlin GC in Oberlin, OH, Albert Baumann (Fremont, OH) shot a 4-under 68 to medal by four shots. A four-way playoff was held to determine the final two qualifying spots, with Tom Jereb (Concord, OH) clinching his spot on the second extra hole, and former #1-ranked senior Paul Schlachter (Bridgeville, PA) getting his on third extra hole. Rand Mendez (Wolmington, DE), who last week captured his first big national senior title at the SOS Jack Hesler Tournament, continued his fine play at Ford's Colony Country Club in Williamsburg, VA, taking the only qualifying spot with a 2-under 70. Mendez turned at +1 but made three birdies in a row in the middle of his back nine to medal by one shot. 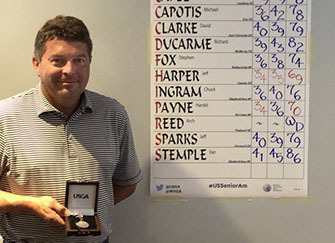 Coming off of a top-10 finish in last week's British Senior Amateur, Bob Royak made an eagle and five birdies in a round of 5-under 66 that earned him medalist honors at Laurel Springs Golf Club in Suwanee, GA. U.S. Senior Open qualifier Jack Larkin also qualified with a 68. Two-time New Jersey Senior champion Jay Blumenfeld (Parsippany, NJ) was among the five players advancing from Forsgate Country Club in Monroe Township, NJ. The 66-year-old former Society of Seniors Championship winner shot an even-par 71 in a qualifier that saw Ronald Vannelli (Edison, NJ) medal with a 69 and Paul Manore (Bedminster, NJ) win a three-way playoff for the final spot. Another 66-year-old, Michigan Hall-of-Famer Bill Zylstra, who recently won the GAM Senior Match Play Championship for the third time, shot a 70 to share medalist honors at Great Oaks Country Club in Rochester, MI. Bill Byrne (Natchez, MS) parred the first playoff hole to take the only qualifying spot after shooting 73 at the Country Club of Oxford (Miss.). In Bluffton, SC, five-time Savannah City Amateur champion Danny Nelson shot a 4-under 68 on the Nicklaus Course at the Colleton River Club to medal by three shots. Chris Culler took the last of the four spots in a three-way playoff after shooting 74. In a qualifier that began on Wednesday and had to be finished Thursday because of weather delays, Tom Madden (Memphis, TN) shot a 71 at Pleasant Valley Country Club in Little Rock, AR to take the only available qualifying spot. David Oas traveled from Carlsbad, CA to Omaha, NE and took the only qualifying spot (and, as this was the last qualifer of the season, the last qualifying spot into the tournament), shooting an even-par 71 at the Happy Hollow Club to medal by three shots. The field of 156 players will play 36 holes of stroke play qualifying at Eugene Country Club in Eugene, OR on Saturday and Sunday, August 25-26, 2018. The low 64 players will then advance to single-elimination match play until the champion is decided on Thursday morning, August 30. The U.S. Senior Amateur Qualifier is open to all competitors with an index of 7.4 or lower who will be at least 55 years of age at the start of the championship. The format is 18 holes of stroke play, with qualifying sites scattered across the country.